Remember the old days when you had to fill out a form and mail in a check request, send it in an envelope, using a postage stamp, to your IRA administrator every time you needed reimbursement for an IRA-related expense? Or the time-saving technology called the fax machine that delivered the form within minutes? 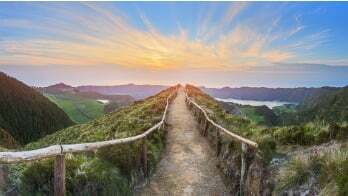 The self-directed IRA industry is changing and now The Entrust Group myDirection Visa® Prepaid Card for self-directed investors eliminates the paperwork, the wait, and the stamp. Let’s say you want to use your IRA to invest at a real estate auction, where the auction house allows the use of debit cards. When you have The Entrust Group myDirection Visa® Card linked to your IRA, you can make a deposit on the property on the spot, without any delay. This can be a real advantage in tight real estate markets. Once your Real Estate IRA owns the property, you can use your myDirection Visa® Card to pay other expenses. This would include the contractor you hire to update the bathroom and use it to buy the new kitchen appliances that will put you in a position to charge a premium rent. Everyone will appreciate getting paid promptly and securely. The myDirection Visa® Card also saves you money by eliminating check request fees. Your myDirection Visa® Card is FDIC insured and offers you the convenience of online access to your account information, along with 24/7 support. 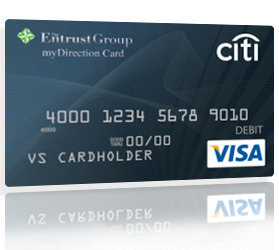 When it comes to self-directed IRA services, The Entrust Group myDirection Visa® Card is a convenient way to manage your properties at a low cost. Find out how to get your myDirection Visa® Card today. Previous Why Do Americans Save More for Vacation Than for Retirement?